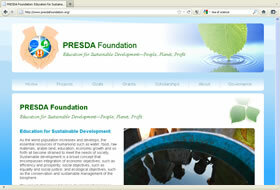 Non-profit organization promoting education for sustainable development. Wonderful! We were extremely satisfied with the ability of the design team to transform our concepts into a functional and professional looking website!